Superman was a hero. Clark Kent was a geek. Spiderman saved lives. Peter Parker sold photographs to his local paper. Chris Moyles entertains eight million people each week on BBC Radio 1. Then he goes home and plays with an Xbox on his sofa, wearing only his underpants. Welcome to the real world of Chris Moyles. 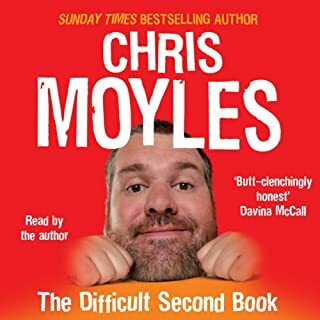 Think of the chris moyles show, but think of the best bits... and then make it last 5 hours or so..
hours and hours and hours of fun witty banter, listening to the life of chris is hilarious. Recommend this for all chris moyles fans. Danny Wallace had been staying in. Far too much. Having been dumped by his girlfriend, he really wasn't doing the young, free and single thing very well. Instead he was avoiding people. Texting them instead of calling them. Calling them instead of meeting them. That is until one fateful date when a mystery man on a late-night bus told him to 'say yes more'. These three simple words changed Danny's life forever. 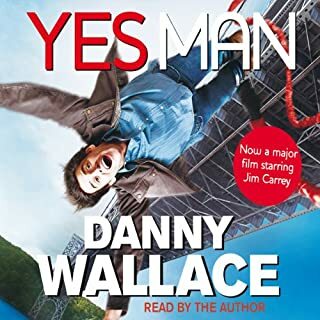 Yes Man is the story of what happened when Danny decided to say YES to everything. I bought this audio book in preperation for watching the movie with my wife. It is amazing, there are so many things in the book that everyone will relate to. I was so so so excited when i went to see the movie with my wife after hearing this great book. The movie is good, but it is incomparible to the genius that is this book. I recomend everyone gets this book. It is 10000% better than the movie!